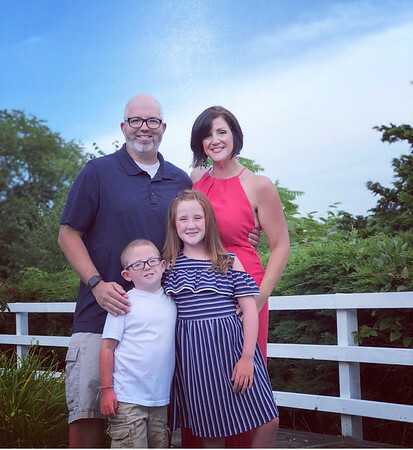 The Posner family consists of deaf husband and wife Mick and Rachel, both of whom are educators, and their children, 9-year-old Faith and 7-year-old Henry, who attend Toffolon Elementary School. Faith has progressive hearing loss and wears two hearing aids. Henry, Rachel Posner said, is “profoundly deaf” and gets by with one hearing aid. The other, she said, is of no benefit to him. “There is no one size fits all and as parents our main goal is that they be happy,” she said. She said teachers have worked well together for her children. “My kids are blessed to have a close-knit group of educators working together, from the teacher of the deaf to their classroom teachers,” said Rachel Posner. Mick Posner said Faith and Henry enjoy music and sports. “My daughter is in choir, where she stands up front for lip-reading reasons and enjoys making music,” he said. “My son is currently enrolled in private guitar lessons to give him that personal instruction time. They also love sports. Unfortunately hearing instructions was difficult. “Also, Henry had some health concerns that prevented him from playing contact sports directly. Instead, we focus on rock climbing, which is all core-building strengths and it doesn’t require too much team effort or daunting listening steps. Mick Posner grew up in Coram, N.Y., where he attended public school. He later attended Longwood High School in Middle Island, N.Y. He graduated from the Rochester Institute of Technology with a bachelor’s and master’s degrees. He later received a second master’s from Central Connecticut State University. He has taught at Conard and Hall high schools in West Hartford for the past three years. Rachel Posner said she was born and raised in Waterbury. “I was fully mainstreamed until my senior year,” she said. “I then transferred to the American School for the Deaf to learn sign. I felt the best way was to become immersed into the culture completely. Upon graduation I went to Gallaudet University [in Washington] and then transferred to RIT to obtain my B.S. and M.S. in education. “I started my career at the American School for the Deaf, where I stayed for a good number of years before becoming a stay-at-home mother for my kids. There weren’t any resources available for day care to provide full accessibility to deaf children. I have absolute no regrets and loved every minute of it. Early intervention played a huge part in their success. Rachel Posner said she is also an advocate for the deaf with the Connecticut Coalition Against Domestic Violence. Rachel Posner said she and her husband will be joining a family friend, Dr. Heather Carter, for a viewing party tonight. The show airs at 8 p.m. and midnight. “She has generously opened her home and sponsored the event,” said Rachel Posner. Posted in New Britain Herald, Plainville on Tuesday, 11 September 2018 21:29. Updated: Tuesday, 11 September 2018 21:32.